A 25-year-old man was admitted to ICU post PEA arrest from haemorrhagic shock, following an assault and penetrating injuries to his right thigh and scrotum. In ICU he develops ischaemic hepatitis secondary to hypoxia, coagulopathy and acute kidney injury. He requires inotropic support, CVVHDF and repeat blood product transfusions. Two weeks later the patient deteriorates and requires re-siting of his lines. A left internal jugular CVC and left subclavian VasCath are inserted with ease, under dynamic ultrasound guidance. 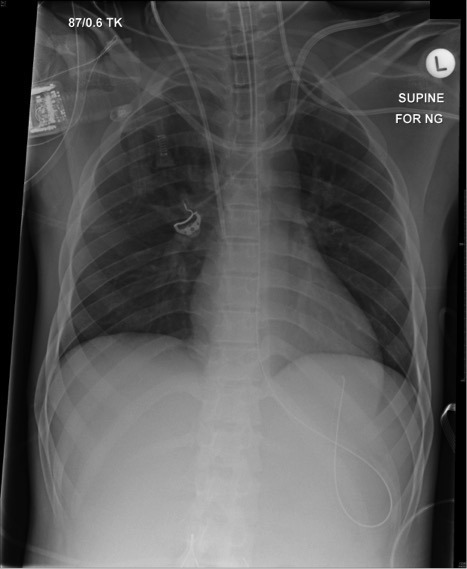 This is a supine AP CXR. Q2. Outline the indications for a CVC. Q3. What is the ideal catheter tip placement? Q4. Define ‘catheter misplacement’, and explain the different types of misplacement. The site and frequency of catheter misplacement varies with the site of insertion, the insertion technique, and patient positioning.1 Catheter misplacement may be intravenous, arterial or extravascular. A malpositioned IV catheter should be repositioned, replaced or removed as soon as possible. Surgical removal may be necessitated. the risk associated with early haemorrhage is bleeding into low-pressure spaces (e.g. pericardium). Once clinical suspicion is raised, the diagnosis can be confirmed on echocardiography, and aspiration of infused fluid should be attempted through the catheter, and urgent pericardiocentesis, stenting or surgical repair performed. Catheters may similarly migrate to the pleural space, the mediastinum or other sites. Q5. How should misplaced CVCs be managed? Management depends on the location of the catheter, indication for central access, and the clinical condition of the patient. Can blood be aspirated from all lumens? 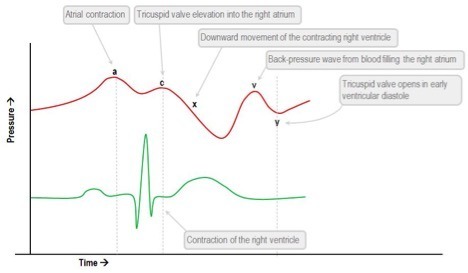 Is the transducer waveform consistent with a CVP waveform? Is the catheter on CXR consistent with placement within a central vein and not kinked? If the answer to all of these questions is yes, the catheter is in a central vein and can be used.